WE ALL LOOK BETTER WITH A SMILE! DURING THE MONTH OF FEBRUARY, WE ARE OFFERING 20% OFF OF DENTAL CLEANINGS. Improve your pet’s health this month with a shiny smile (and better breath)! Good oral and dental care is a very important part of your pet’s overall health, from dental health to kidney and liver disease. Prevention of the most common types of oral disease in people and in pets includes removal of plaque and tartar from teeth and below the gum line. DURING THE MONTH OF FEBRUARY, WE ARE OFFERING 20% OFF OF DENTAL CLEANINGS. Schedule a complimentary dental exam and discuss how to best care for your pet’s oral health today. Dental health is a very important part of your pet’s overall health, and dental problems can cause, or be caused by, other health problems. Your pet’s teeth and gums should be checked at least once a year by your veterinarian here at Tavares Crossroads Veterinarian Clinic to check for early signs of a problem and to keep your pet’s mouth healthy. 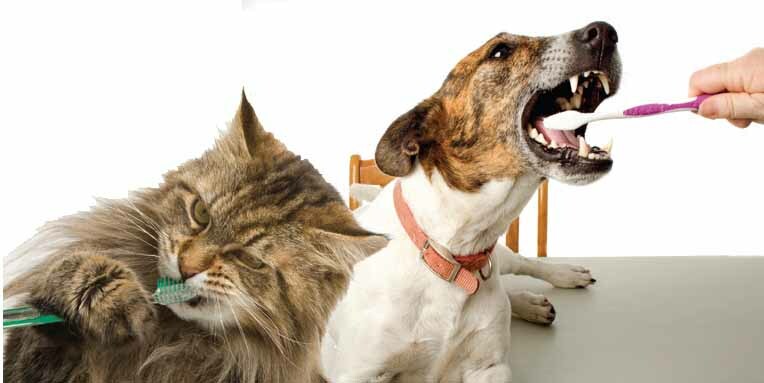 Veterinary dentistry includes the cleaning, adjustment, filing, extraction, or repair of your pets’ teeth and all other aspects of oral health care. These procedures should be performed by a veterinarian or a board-certified veterinary dentist.